I still remember the moment during my first Halo run through when I totally knew the game was amazing - it was during The Silent Cartographer level and it was time to leave the place. 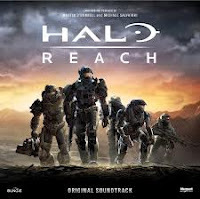 In a mad panic, I had to guide the Master Chief back up the the surface of the Halo, whilst a relentless section of music was playing - 'Rock Anthem For Saving The World' featuring legendary guitarist Steve Vai. 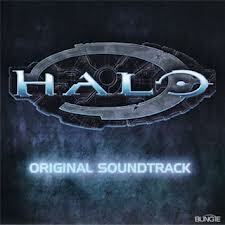 This is the sound track to the game that changed gaming forever. Marty had already done a couple of gigs for Bungie in the form of the Myth series and as Microsoft had brought the Bungie studio to get their hands on the Halo IP, expectations were high. Marty duly delivered one of the most brilliant sound tracks ever. The monks' chorus, and the main theme riff with those wondrous string instruments are perhaps as recognizable to a gamer as the first notes to Star Wars are to a movie fan. The success of Halo: Combat Evolved meant that Microsoft's Xbox platform was a winner but it needed to consolidate it's place in the gaming market. Enter Halo 2. Bungie and Microsoft threw the kitchen sink into making Halo 2 and a lot of the cash went into the music and it's promotion. 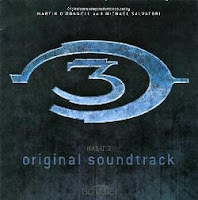 If Halo soundtrack was a ride though a sandy beach on a Warthog, Halo 2 was taking on a gaggle of Brutes armed with a paper clip. If there's one moment in Halo 2 that is a piece of amazing original music, it's the section where you play as the Arbiter running through a gauntlet of giant Sentinels as Steve Vai again shreds the Halo theme song so hard and fast he must have burned his figures doing the take. Check out Vai doing the theme live here with an orchestra (it's a slow burn but worth it). 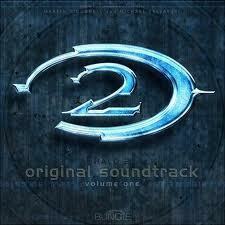 Halo 2's sound track was so big, they actually released two versions of it. The first, we'll call the 'rock' version, the second was the more traditional suite of songs. 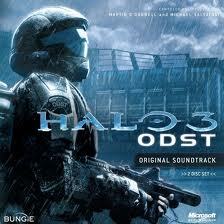 Apparently the first version was the biggest selling video game soundtrack of all time.